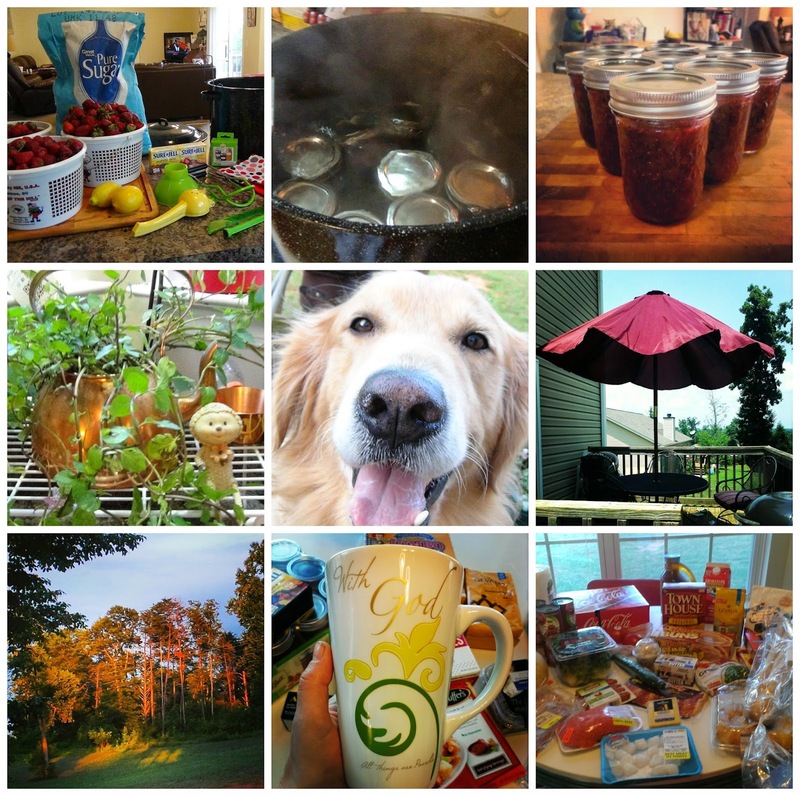 Week in Review | June 16-22, 2014 | w/ VLOG! Hello Friends! I think Monday came a little sooner than I was expecting! I am waking up and sure this post will take me forever to get done. Most of the time I am watching and listening to the news and The View and normally Monday's hold a lot of early calls. Most of the time I start this post around 10 and never get it finished until 12:30 - 1 pm but that's just my Mondays for ya! 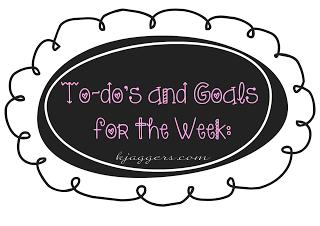 If you want to check out how our week went along with checking out our week in review vlog, continue reading! :) But grab some coffee or tea first! Monday of last week started with me doing a quick pick up of the house ( after writing and posting my wir ) and then I got started on making homemade jelly. I was so happy that it all turned out so well. It had been many years since I was in the kitchen with one of my grandmothers helping her make it. So I was kinda nervous. I bought all the canning items which wasn't too expensive and then I got all my strawberries..then spent the rest of the day and late into the evening, turning fresh strawberries into jelly..The process is pretty easy and its magical taking a berry and turning it into something so delicious! Tuesday, I sprung up out of bed and went and checked all the jars. The lids were sealed and then I opened one to enjoy with some toast. OMG...its really sooooo good!! And it wasn't near as hard as I thought it was. So guess what!? I headed back out for more jars and fruit pectin. I didn't can all day but I got about 12 more jars done but that left plenty of time to replant a new herb and enjoy a beautiful day out with Super Cooper. Isn't he cute!? Wednesday ,Scott was off work. He was tired and I understood his want to just stay home and relax. Its hard though because I am home all the time and he doesn't get to be here as much. So when he is off work, normally I am wanting to get out with him but sometimes its ok for him to have a lazy day too. He works a lot of hours and I am sure just lounging around the house is really nice for him. Actually he took calls from home and sold a car from our dining room table! But he was home...and it was nice non productive day! Thursday I got busy doing a little more in depth cleaning. I was busy Monday so I only did a quick cleaning. I spent most of Thursday making up for all I didn't do at the beginning of the week. I took a lot of time to straighten and organize the 2nd floor more than anything. I didn't really enjoy doing it but I did sure feel better when it was done. 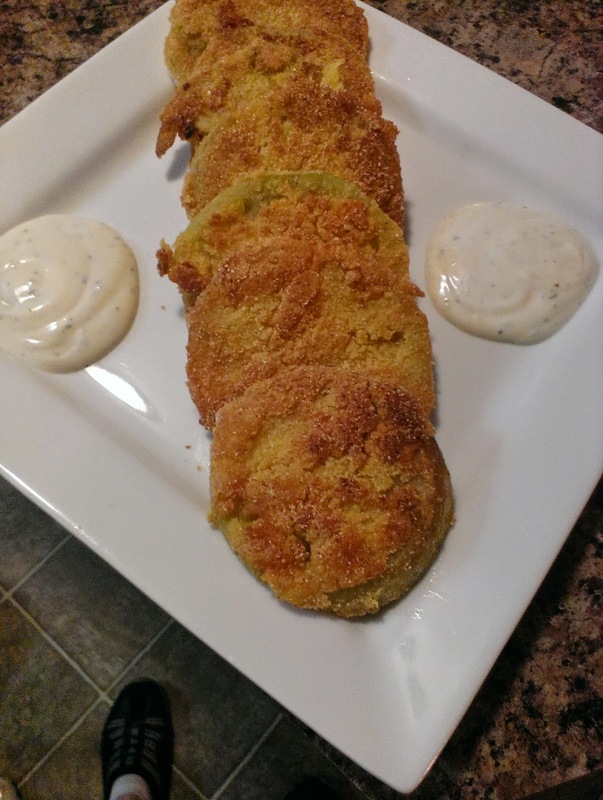 We had a very simple dinner of homemade fried green tomatoes which were amazing! I filmed how I made them and will have that recipe up in the coming days. I wore myself out pretty fast Thursday and by time I hit the bed...I just collapsed. Friday was another day at home for me. I decided that I would finally start a few household organization projects. I started with the frig which took a while. Everything came out and then I cleaned it super good and went through all our food to check expatriation dates and toss old items out that we were not eating. I filled 2 garbage bags full of items that I thought we could toss. Again it was a job I hated to do but I went ahead and just did it and felt so much better afterwards! Saturday I got right back into the organizing mood. We have little spots around the house that clutter up fast so I took more time in the kitchen to straighten up the pantry and moved right into the cup cabinet. I swear if you were to open that cabinet before Saturday there was a good chance that a coffee cup would come flying out due to Jackson's great ability to put up the dishes correctly...NOT :) Scott worked at the dealership all day and I worked organizing a few spots the kitchen. I know....not too exciting but that was my Saturday. Once husby did get home, he decided that he would mow the grass. He wasn't too happy about it either but its so much better than waiting on a yard guy who didn't keep his appointments. It was also $60 a week for lawn care which was a little much if you ask me. We finally settled on putting the lawn mower on our credit card and do it ourselves. I figure it we can get it paid off fast and not get hit with too much interest. Its been worth it because now our yard isn't the worst looking one in the neighborhood any longer! I did run a few errands and check out that beautiful spiritual coffee mug... I love it! We spent the rest of our evening huddled up on the couch watching movies spending time together. Scott hasn't been feeling good so we just kinda hung out and relaxed the night away. I finally slipped into a late night bath and shortly after, I was in bed sleeping like a baby! Sunday popped up too soon for us. I didn't feel like doing much yesterday. It took me until about 5pm to get any motivation. Scott was much the same. He stayed in his bed most of the day watching old movies and dozing in and out. Speaking of the movies, we were suppose to go out and see Think like a Man 2 but I understood his want to be home. So I pushed off the movie until this week sometime. I went ahead and did our Weekly Food Shopping and filmed the haul. Later in the evening we did finally get out and ran a couple of errands but it was just a pretty simple day. I wish Scott had been feeling better so we could have had a little more time together because he was in bed asleep before 930pm. I went ahead to do some computer work late into the evening. I decided I would clean up some files and then I went ahead and emptied the recycle bin. Somehow I got confused and thought I had deleted all my strawberry jam footage was gone forever. I launched into this serious internet search on what to do. I almost broke out the credit card again to buy some kind of recovery software only to realize HOURS LATER that I had the footage on my computer and it was safe. Gosh...I was so stressed out over it because I did a lot of filming and would have died if I had lost it all. I should have had my vlog up sooner but I couldn't really save it because I was afraid it would save over the jelly footage. So I was up till after 4am...really I think it was closer to 5am and when I finally realized I had my jelly makin' footage! I was so thankful I had it the entire time. I did feel like an idiot. Once that was all over I started to save my vlog. Do you guys know how long it takes to save a hour long movie on movie maker? It took about 2.5 hours and then I started the upload on youtube and finally closed my eyes and went to sleep. Today... I woke up at 10am only getting about 5 hours of sleep so I am feeling awful. Coffee is not helping! I think I might just have to take a nap in a bit to feel better. 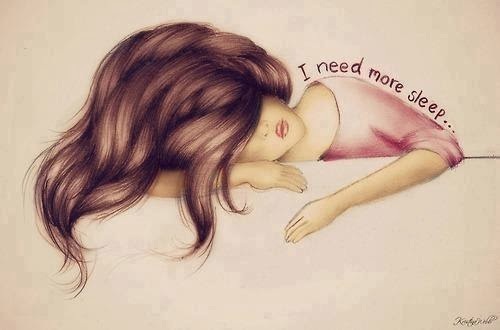 I am not in a bad mood...just a tired one! I am sure many of you can relate on this fresh day to the week. I need to clean the house today too which might get postponed...we'll see! This past week was over all a nice week. We had no exwife drama however, we have not been able to talk to Zane which is really sad. But it was a pretty nice week. I am not in a sad mood over Jackson not being here anymore. I miss him but this little break has been super nice. I can't remember the last time Scott and I had a summer to ourselves. Its much nicer than I thought it would be! 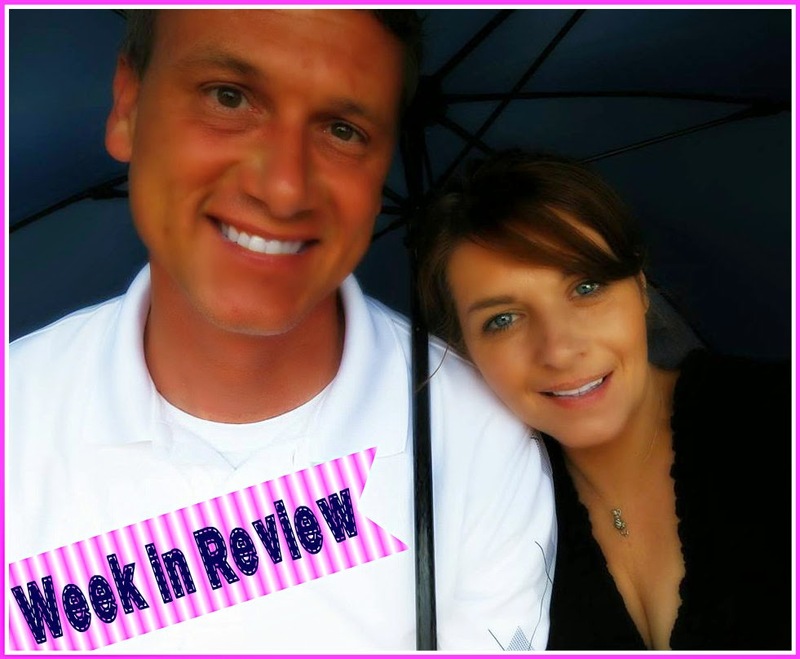 If you want to hear even more about our week....here's our Week in Review Vlog! Edit Jelly footage edited and uploaded....its soooo yummy, I hope you try the recipe! Groom Gabby...Persian Cats matte up so easily if not brushed out often. Record Many Vidoes.....trying to get back on schedule. Wait..wait.. on my Erin Condren Calendar. Today is the approx ship by date and it finally moved today from pending to invoice to print. So its not going in the mail today but hopefully very soon! Work on Jacksons room. I need to clean it up and wash the bedding. Work on mailing packages out this week. I am so behind with it. Order GIVEAWAY prizes today! I love sharing a good book! Make fruit salad for Scott and I to enjoy. 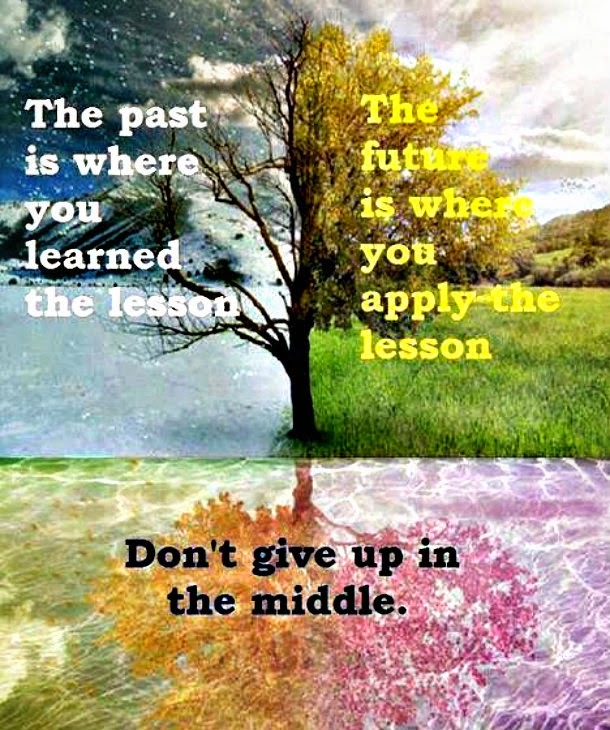 Here's some inspiration for your upcoming week!